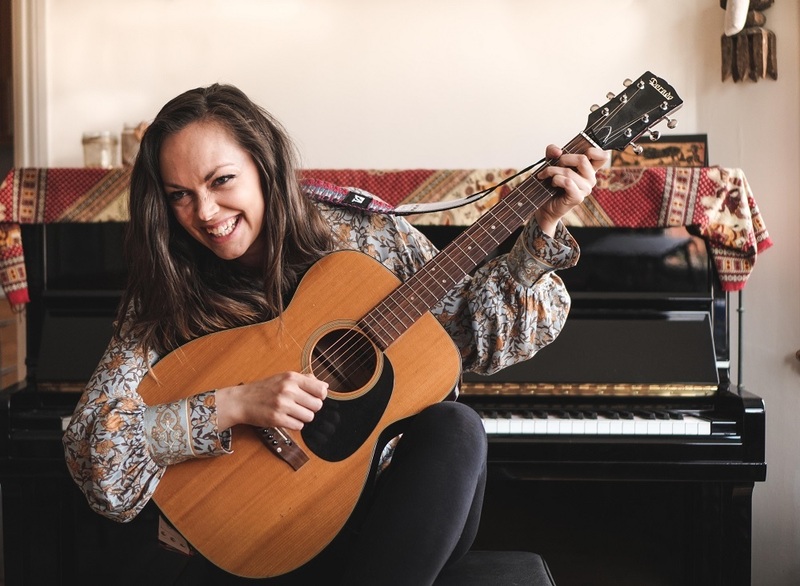 Slovakian-born, London-based singer-songwriter Jana self-released her debut single ‘Birdhouse’ today (Friday, November 16th). A story of a traveller who finds freedom looking for a ‘piece of home’, the first release from Jana & The Lanterns shows promise for what’s to come from her EP in 2019. We spoke to her about relocation, her music and recording in a studio built for Mike Oldfield. I was born in Slovakia into a very musical family. My dad and siblings played lots of instruments and we’d listen to various styles of music from classical to heavy metal. I played piano and flute which I later studied in my hometown Bratislava and in France. My first ‘idols’ were Roxette! I was tiny, and I saw Marie Fredriksson on TV and that moment just decided everything 😊 I knew I was going to be a singer. As I was getting older, I discovered Sting and much later Paul Simon, Joni Mitchell and James Taylor… There are lots of different musicians that were my influences. Folk-infused singer-songwriter with hints of rock. Why Jana & ‘the Lanterns’? Well, it’s my project, I write the songs, but I perform with my band – you can hear the great musicianship of those guys on ‘Birdhouse’. Ha! Sting or Father John Misty. You were born in Slovakia, but are now based in London. When and why did you relocate? I moved four years ago. I studied classical music all my life and it was amazing, but I realised that that’s not what I wanted to do. Most of my musical heroes were British and London is such an amazing hub for music. It was clear where to go. How has the relocation shaped your music? Immensely. For an artist – the environment is everything. It influences the creative process because it changes you. I started going to open mics and play/sing with other people, I was in a couple of bands… because you’re exposed to so much diversity it helps you find your own voice. Tell us about your debut single ‘Birdhouse’. What’s it about? It’s about desire to travel and explore different places, looking for adventure, being free but still having this urge to belong. I think I wrote it a year before we recorded it at Tilehouse Studios. Very cool place with specific acoustic treatment and vintage gear. It was originally built for Mike Oldfield. How does ‘Birdhouse’ represent your style? It was recorded by Luke Oldfield at Tilehouse Studios. What impact did Luke have on the single? He was really nice and welcoming! Great with editing and studio stuff, and he would give us helpful insights, comments and feedback. He’s a great musician and producer. Me and the band felt very much at home at Tilehouse. Can you tell us about the music video for ‘Birdhouse’? How is it nostalgic for the 70s? Well, the song is kind of inspired by the era. Joni Mitchell, Neil Young kind of music, 70s and the freedom, poetry. I didn’t want the video to be completely ‘hippie’ looking though, I just wanted to use it as a flavour. I’m wearing a flare-sleeved flowery dress and the video has a slightly warm, vintage filter on it. What are your hopes for ‘Birdhouse’? I will be happy if people like it. If they feel something, it’s a good song. Songs are vehicles that carry your emotion. If it’s a good vehicle, you can connect with someone. We would love to introduce ourselves to new fans who haven’t heard about us and reach out to them. ‘Birdhouse’ is one of five songs to feature on your EP out next year. When can we expect to hear more of it? Hopefully soon. I don’t want to rush things, I like putting perspective between the songs and me, to see if they stand the test of time. At the same time, I am an impatient person! Get better at playing guitar, better at using my time effectively and to hopefully organise our first UK tour. That would be great. Oh, I don’t know. Musicians have to do all these little things to build a name for themselves. It’s not one thing that magically changes a career, although it might be for some people. Getting played on BBC Introducing could be a game changer. On a personal level, I’d wish for more time with friends and family. Watch the video for Birdhouse’ on YouTube below. For news and tour dates follow the Jana & The Lanterns Facebook page.